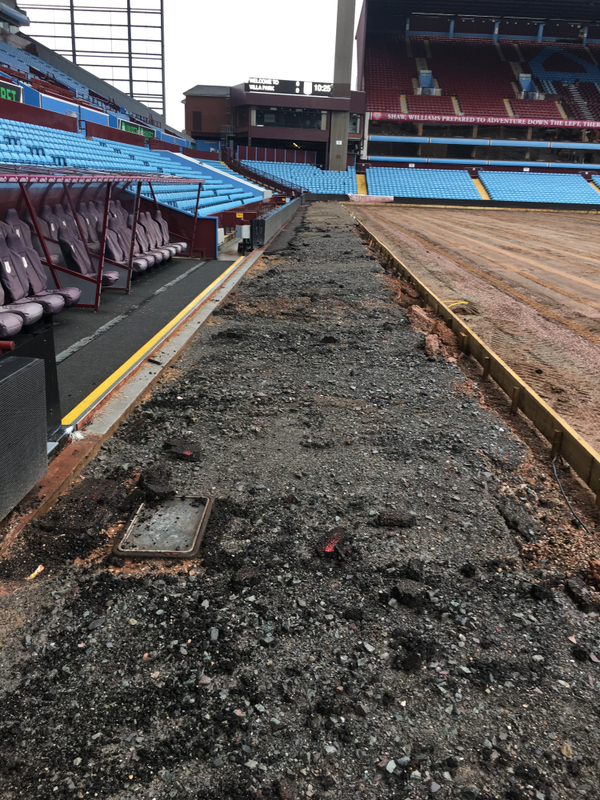 In preparation for the 2018-19 Championship season Aston Villa FC commissioned the replacement of the existing playing surface at Villa Park along with new drainage and irrigation systems. 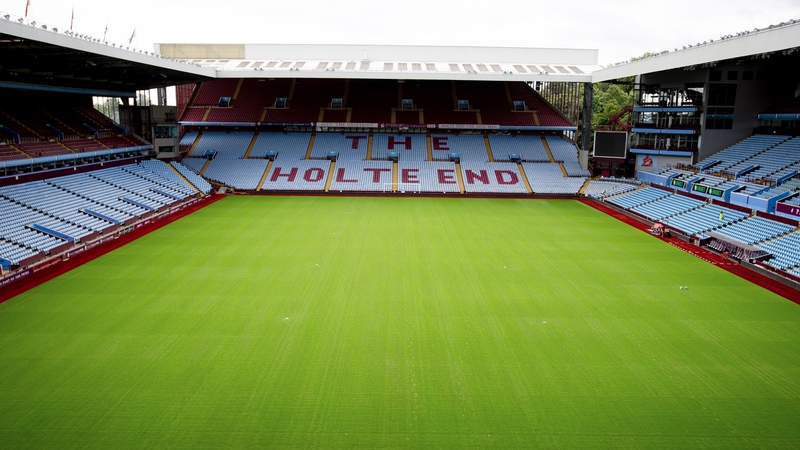 These works were carried out by Hewitts Sports Turf in conjunction with Desso. 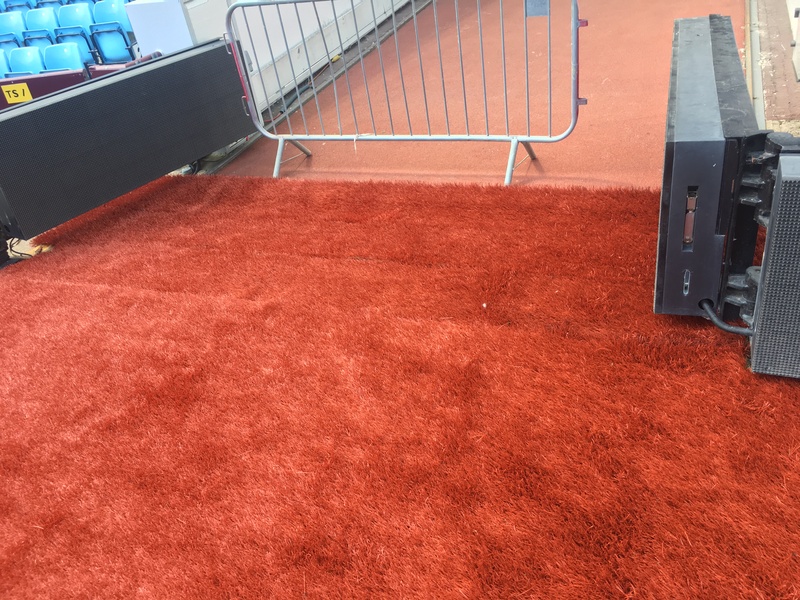 As part of the works SEL Sports were appointed to install a new 3G synthetic grass surround to the main stadium pitch and technical area. 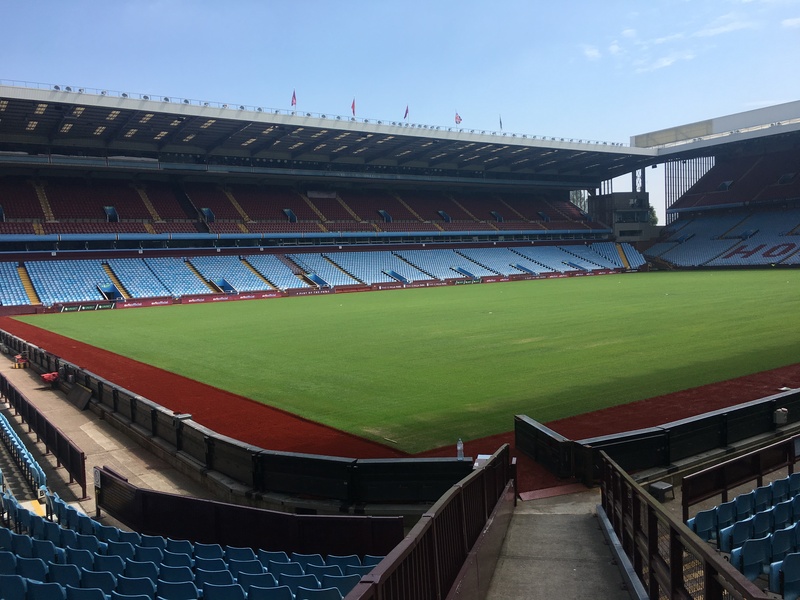 SEL Sports installed the surround and technical areas using a surfacing system comprising a 20mm Schmitz Foam 'Pro-Play' shockpad layer and Desso’s 'iQ3 60-15' 60mm pile 3G monofilament synthetic grass, in terracotta red. 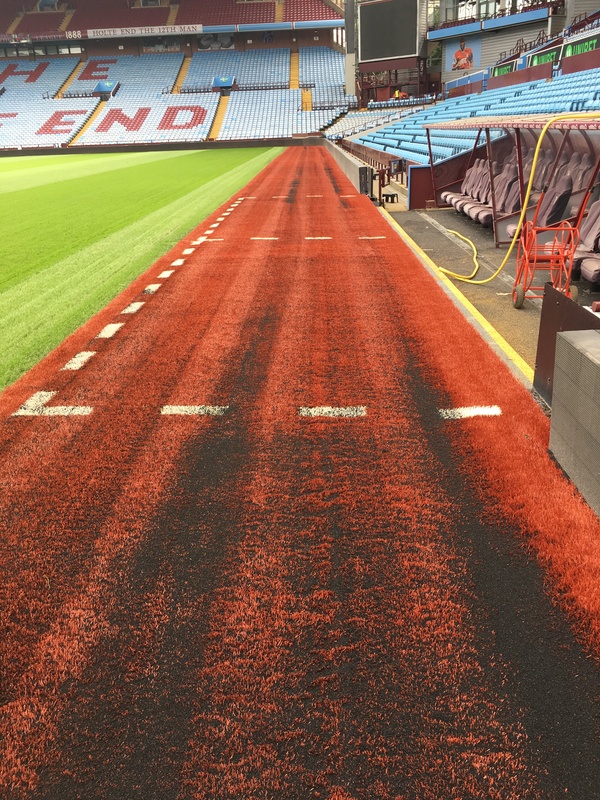 Envirostiks 'RTX' seaming tape and 'Ultra-fix' adhesive was used for all jointing, ensuring that the system met IRB criteria. Care was taken to detail around existing fixtures such as access chambers, pop-up irrigation heads, and goal post fixing points to give a seamless finish. Dashed lines in white were permanently inlaid into the surface to mark the technical areas around the dug-out. 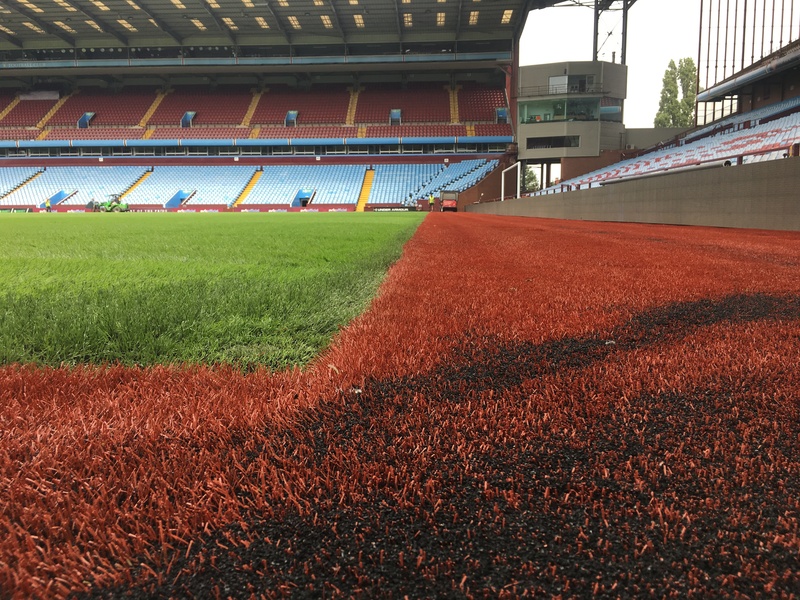 The synthetic grass was then infilled with silica sand and SBR rubber granules to the manufacturers recommendations. This 3G synthetic grass extension will now also allow the pitch to facilitate professional Rugby matches in the future when required.